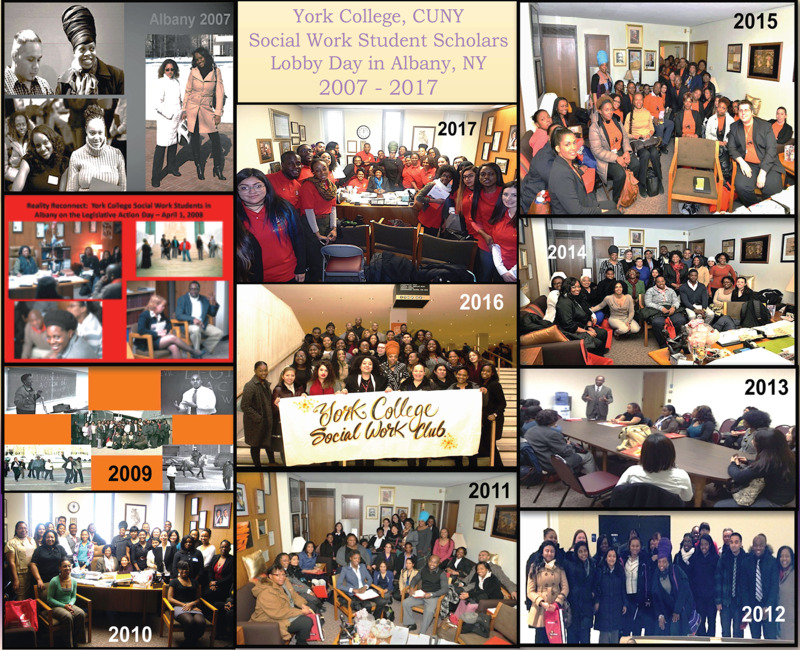 Eleven years and counting...Dr. Rodgers has collaborated with several social work faculty members providing guidance to the York College Social Work Empowering and Encouraging Together (SWEET) formally Social Work Club in organizing their annual Legislative Action Day to Albany, NY. Students have advocated advancing the legislative agenda of New York State Social Work Education, the National Association of Social Workers, and York College/CUNY. Students have engaged in full day meetings with NYS Assembly, Senate members, and their senior staff. On several occasions, students scholars have joined with York’s President Marcia V. Keizs and Director of Government and Community Relations, Earl Simmons.